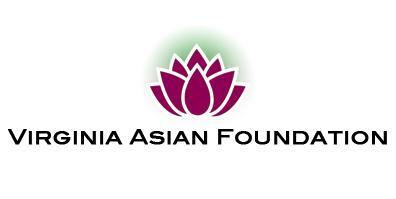 Created in 2007, Virginia Asian Foundation is a bonafide-certified IRS C3 Non Profit business organization in the Commonwealth of Virginia which promotes education and civic empowerment activities to encourage Asian Americans to realize the American dream. As Sister Agency of the Virginia Asian Chamber of Commerce (VACC), VAF funds all education and community development activities of the VACC. VAF has a grass-roots network of more than 75 youth and adult volunteers from statewide-diverse Asian and mainstream Virginia communities committed to activities set forth by our mission. Our volunteers are: Community members-entrepreneurs-youth-college and academic members from various sectors and social networks. 1. An annual Asian scholarship program which awards students for their academic performance excellence. 2. A signature Asian workforce development program to foster personal leadership and service excellence among Asian Pacific American professionals through CareerConnect, VAF’s signature workforce development network of Asian professionals. 3. An annual Leadership Awards Program which annually awards outstanding public servants for their community leadership and service excellence. 4. A Mobile Health Care Program to provide outreach to the Asian community lacking health care insurance to gain access to free health check up and treatment by local health care agencies. 11. Partnering with all law enforcement in all Central Virginia to promote resources on individual safety- wellness- crime prevention at our annual law enforcement meetings, serving 400 members at this meeting. Community members feel safer and more connected to their law enforcement friends. Most importantly: Our commitment and achievements have greatly helped the Virginia government and US society at large to be more keenly aware of the poverty and less fortunate among many sub-groups, thus clarify the Asian Model Minority Myth. To outreach to VAF or to make donations to our C3 Charity organization, please contact us!